Energy use in buildings worldwide accounts for over 40% of primary energy use and 24% of greenhouse gas emissions . Energy use and emissions include both direct, on-site use of fossil fuels as well as indirect use from electricity, district heating/cooling systems and embodied energy in construction materials. Given the global challenges related to climate change and resource shortages, much more is required than incremental increases in energy efficiency. 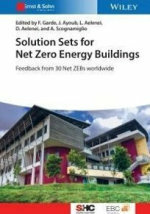 Currently, a prominent vision proposes so called "net zero energy", "zero net energy", "net zero carbon" "net zero energy buildings NZEB", or "EQuilibrium" buildings. Although these terms have different meaning and are poorly understood, several IEA countries have adopted this vision as a long-term goal of their building energy policies . 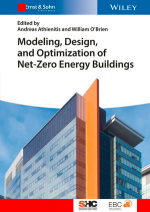 What is missing is a clear definition and international agreement on the measures of building performance that could inform "zero energy" building policies, programs and industry adoption. Building energy design is currently going through a period of major changes. One key factor of this is the adoption of net-zero energy as a long term goal for new buildings in most developed countries.